Successful leaders know the “How” of Marketing. Learn only what you need to know to become a successful marketing leader in today’s tech-centered world. Each session is segmented into bite-sized video segments so you learn each topic thoroughly before moving on. Multiple homework sessions give you valuable opportunities to build out your own marketing strategy, piece by piece. Every organization should have a model for how they track consumers from anonymous visitor all the way to loyal customer and promoter. The goal of building a model is to make sure that you have a way to track and measure every primary step a consumer takes during the buying journey. The result of having a model of historical numbers is that you are then able to build out future scenarios by which you can more accurately gauge ROI for marketing activities. At it’s core, the Belief Framework says, “Everybody has a belief about every product.” But there is also an understanding that different people have different beliefs at different stages of the buying process. Some beliefs need to be created (that is, the belief simply isn’t there yet because of unfamiliarity with a product), while other beliefs need to be nurtured or changed. We believe marketing is the process of teaching consumers why they should choose your product or service over your competitors. At the completion of this session, you will have developed your own Belief Framework that you can immediately implement in your marketing efforts. Conversion Rate Optimization (CRO) is the most important marketing activity because it makes every visitor exponentially more valuable. If you double your conversion rate but keep the same traffic, you have essentially doubled your revenue. You will learn how the best companies design and optimize sites that convert. With hands-on homework, you will develop a site conversion plan for your business to drive visitors to specific actions (demos, free trials, etc. ), while also testing hypotheses on messaging and prospect questions. Search Engine Optimization (SEO) is an important marketing discipline encompassing both the technical and creative elements of a user-centered website that results in increased rankings, more organic traffic, and increased awareness in search engines. In this course, you will develop a hypothesis on the amount of organic traffic that you can drive to your site, and the specific target keyword groupings, SEO strategies, initiative costs, and target search engine rankings, to achieve it. In this session, we dive deep into the weeds of both the theoretical and practical elements of modern SEO. Technology has made content creation and marketing far more complex, and an emphasis on data-driven approaches has forced all of us to rethink the communications industry. Every piece of content should have a defined purposed that traces back to the Belief Framework. In this course, we will focus on helping you develop evergreen content that will shape, nurture, and grow the beliefs of your target market based on personas that you have already created. Quality content, compelling experiences, and their effective distribution are the keys to breaking through the clutter. It’s a table-stakes requirement. In today’s world of integrated marketing communications and fully integrated consumers, it is more important than ever to understand the priority and role of every channel in your marketing toolkit. In this session, you will learn how your business can design and optimize lead acquisition campaigns through the major channels, including LinkedIn, Facebook, Google, email, and partners. At the conclusion of this course, you will have the ability to comprehend and develop multi-channel lead acquisition and lead nurturing programs based on hypotheses of multi-step campaign costs and expected returns. 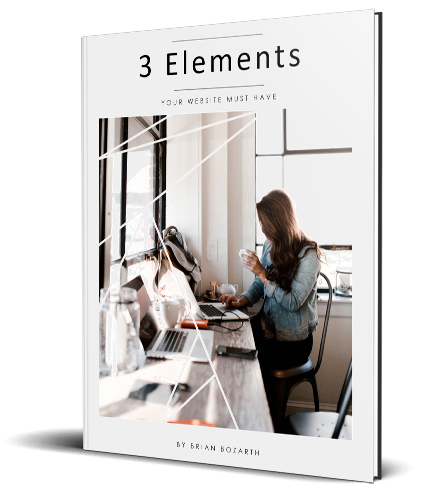 Learn how the top brands differentiate themselves and increase conversions with these 3 elements. Copyright © 2019 MarketingCourse. All rights reserved. Would you like to receive the entire Masterclass for Marketing Leadership for free? Just enter your email and you will receive your Daily Marketing Course video. Thank you! Check your email for your exclusive coupon. Enter your email address and we will send you your 100% OFF Coupon (aka Free!) to the entire Masterclass for Marketing Leadership.